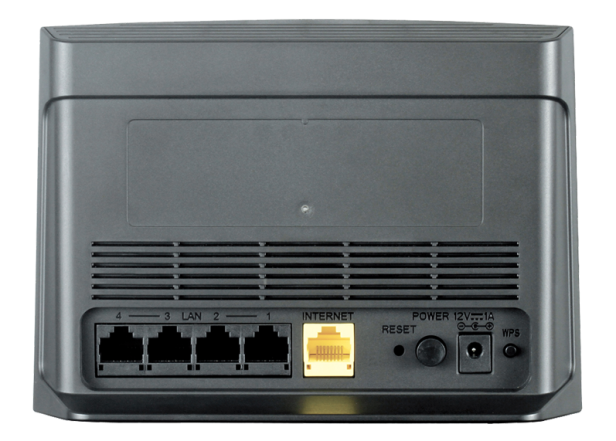 How do I install my D-Link DIR-817LW Wireless AC750 Dual Band Cloud Router? 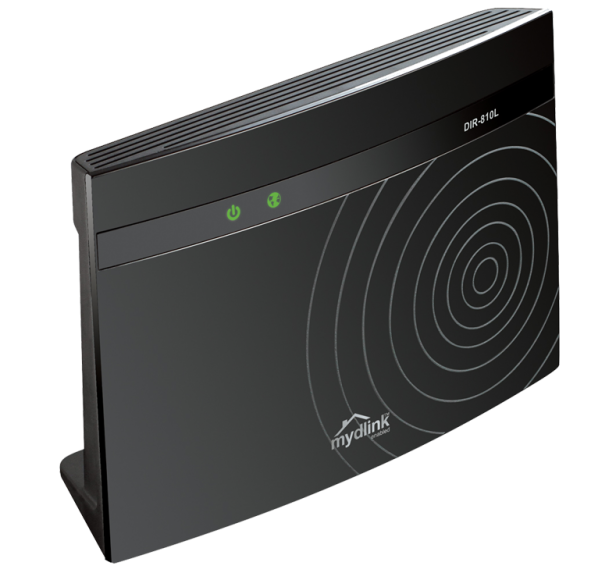 Step1: Open a web browser (e.g., Internet Explorer, Chrome, Firefox, or Safari) and enterhttp://dlinkrouter.local. /. You can also enter the IP address of the router (http://192.168.0.1). XP users should enter http://dlinkrouter. Step 2: When the Welcome screen appears, click Next to continue. 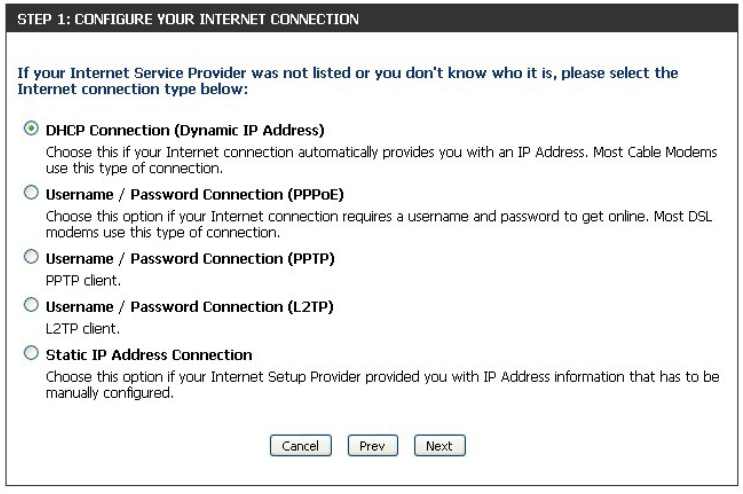 Step 3: If the router automatically detects your Internet connection type, skip to step 5. If not, then select your Internet connection and click Next to continue. Step 4: Cable users (DHCP) click Next to continue. DSL (PPPoE) users enter your PPPoE User Name and Password supplied by your ISP (Internet Service Provider). Click Next to continue. 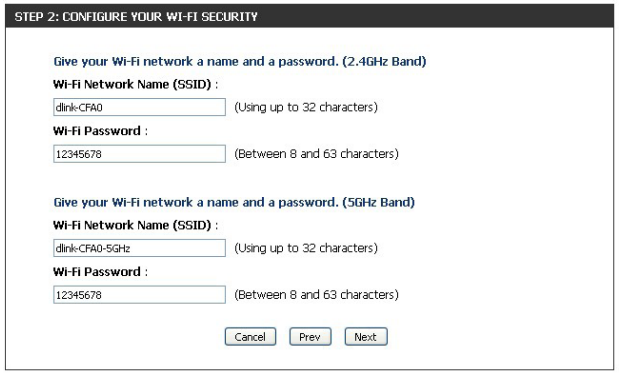 Step 5: For both the 2.4GHz and 5GHz bands, create a name for your Wi-Fi Network and a password. Your wireless devices (i.e., tablets, smartphones, and laptops) will need to have this information entered to be able to connect to your wireless network. Step 6: Continue with the Setup Wizard to finish configuring your DIR-817LW/818LW router. 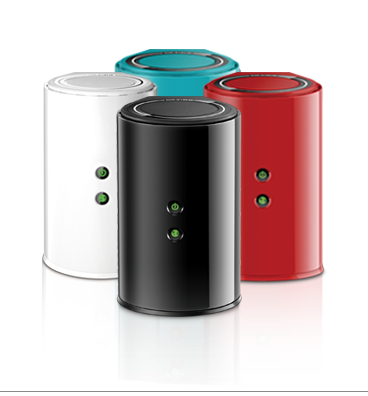 Once completed, the Internet LED will turn green indicating that your router is connected to the Internet. 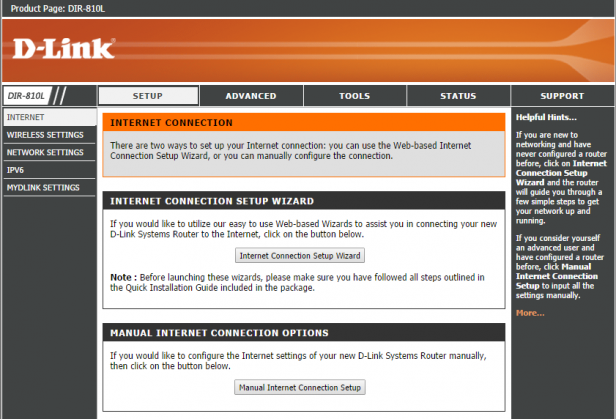 Note: Setting up “mydlink” is optional and not required for the router to function. 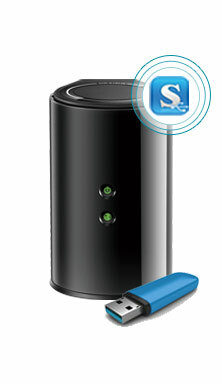 How to share files using the D-Link DIR-510L Wireless AC750 Portable Router? 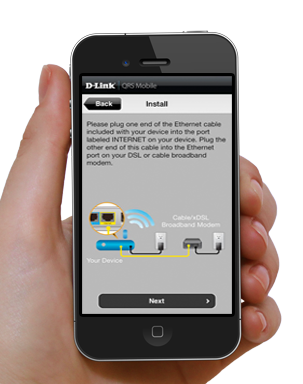 You can share files with other computers or devices on your wireless network by connecting a USB thumb drive to the router D-Link DIR-510L and using the free mydlink SharePort™ app. 1. 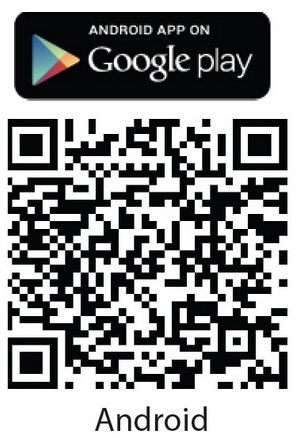 Use your iOS or Android mobile device to scan the corresponding QR code, allowing you to download the free mydlink SharePort™ app from the App Store or Google Play. 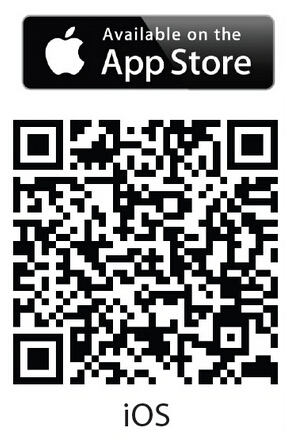 If you do not have a QR code reader, search online for mydlink SharePort at the App Store or Google Play. 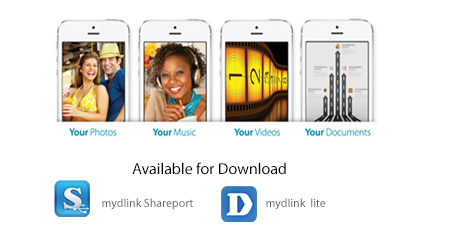 Note: To connect remotely to the mydlink SharePort™ app, you need a mydlink account. 2. From the Current Status page, navigate to Settings > mydlink to create a free mydlink account and register your device(s). Go to www.mydlink.com for more information. The DIR-810L’s IPv6 Firewall feature allows you to configure which kind of IPv6 traffic is allowed to pass through the device.The DIR-810L’s IPv6 Firewall functions in a similar way to the IP Filters feature. Check the box to enable the IPv6 firewall simple security. Select an action from the drop-down menu. Enter a name to identify the IPv6 firewall rule. be set to Always, which will allow the particular service to always be enabled. You can create your own times in the Tools > Schedules section. 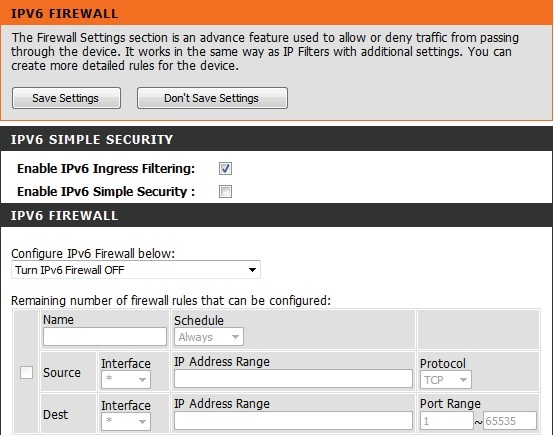 Use the Source drop-down menu to specify the interface that connects to the source IPv6 addresses of the firewall rule. Enter the source IPv6 address range in the adjacent IP Address Range field. Use the Dest drop-down menu to specify the interface that connects to the destination IP addresses of the firewall rule. Select the protocol of the firewall port (All, TCP, UDP, or ICMP). Enter the first port of the range that will be used for the firewall rule in the first box and enter the last port in the field in the second box. Check the box next to the route you wish to enable. Enter a specific name to identify this route. This is the IP address of the router used to reach the specified destination or enter the IPv6 address prefix length of the packets that will take this route. Enter the metric value for this rule here. 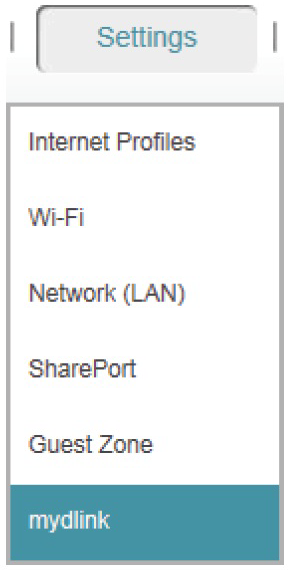 Use the drop-down menu to specify if the IP packet must use the WAN or LAN interface to transit out of the Router. Enter the next hop that will be taken if this route is used.